Tom Byron. Scuba Diving, Snorkelling and Spearfishing Guide to Southern New South Wales + CD. Emmanuel E. Papagrigorakis. The Underwater Man - A Complete Diving Manual. 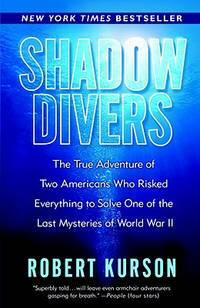 From Shadow Divers to I Like Diving, from	Underwater Man to Underwater Man, we can help you find the diving books you are looking for. As the world's largest independent marketplace for new, used and rare books, you always get the best in service and value when you buy from Biblio.com, and all of your purchases are backed by our return guarantee. "Thomas Dunne Books." Originally published: London : Methuen, 2007. Includes bibliographical references and index. Somewhere in the deep Atlantic off the west coast of Africa lie two casualties of the second World War: a Japanese submarine and a British liner. Both were reportedly carrying tons of gold. In Three Miles Down, James Hamilton-Paterson recounts the thrilling search, code-named Project Orca, for these vessels and their awesome payload. In the winter of 1995, an international crew of researchers, investors, and salvage experts set sail on the Russian research ship Akademik Keldysh, determined to find and then recover the sunken treasure. It was an enormous financial and physical risk, for even if the vessels were located, they rested in more than 5,000 meters of water. No salvage had ever been attempted at such depths before-roughly 1,200 meters deeper than the Titanic's watery grave. In his daily chronicle, Hamilton-Paterson, the ship's literary stowaway, not only captures the peculiar personalities and the tensions on board, but shares the fascinating history of the sunken vessels and the extreme danger and technological complications of deep-water recovery. A brilliant account of a treasure-hunting expedition and once-in-a-lifetime voyage to the bottom of the sea, Three Miles Down is also a rousing tale of deception, greed, courage, and great beauty.